How do I Find a Baby's Picture in Hospital Records? 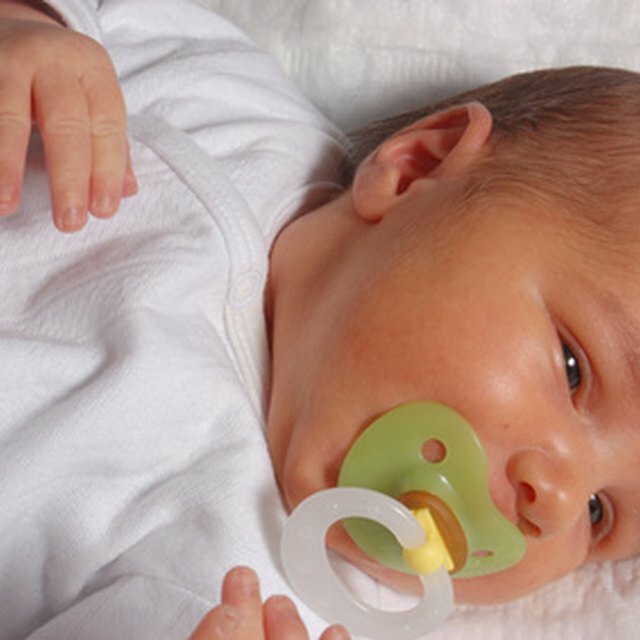 A birth certificate details all of the specifics of the birth of a child. Important information such as hospital's name, location, the name of both parents and the doctor who delivered the baby, the time of birth as well as birth weight and height are all listed on a birth certificate. A birth certificate can be used for a variety of reasons, but one of its main uses is as proof that someone was a naturally born United States citizen. A birth certificate can also be used as a form of identification. Since each county is different, there is no uniform time frame for receiving a birth certificate. In general, you can expect the process to take a few weeks. In the case of a newborn baby, a hospital will either fill out the birth certificate form and send in all the appropriate paperwork for a birth certificate or at give it to the parents to fill out themselves. The address to mail the paperwork to will be on the required form, and when you're ready, you can send it to the local state Department of Health. Certain states will allow a birth certificate to be mailed to the parents, while others will require it to be picked up in person. The cost for a birth certificate varies by state. For example, New York's Department of Health charges $30, while the Pennsylvania Vital Records Agency charges $20. When ordering a birth certificate, be it an original when a baby is born or a copy at some later date, most states will take anywhere from four to eight weeks to produce it, although the Virginia Department of Health states they may have the certificate ready in as little as two weeks. This may vary depending on a number of factors, including what part of the country you live in and the number of birth certificate requests you placed. If you are picking up a copy of a birth certificate in person, most states recommend that you be prepared to wait around an hour. Because a birth certificate is considered an important legal document, only certain people can request a copy of a birth certificate. The person who is named on the certificate may request a copy at any time. Likewise, the people listed as parents on the birth certificate may also request copies. If a husband, wife or child petitions the state court, they too may obtain a copy of a birth certificate, though they will have to present good explanation as to why they want one. In all of these situations a birth certificate will not be presented without showing a valid form of identification to prove identity. Are Handwritten Wills Legal in Louisiana?